Here are the guitars that are currently on my bench. Most likely in different stages of development. The Black Walnut mentioned here will be harvested and cut from the Black Walnut tree’s that were behind my parents house. 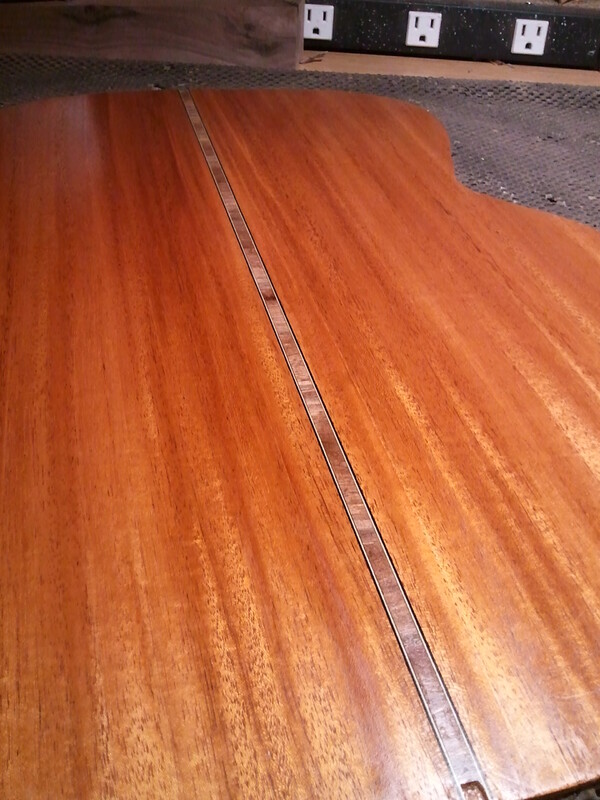 The Cuban Mahogany I got from the OLF. The Lutz Spruce I got from Chris (aka Snigs), as well as the Indian Rosewood fretboard and bridge blank. 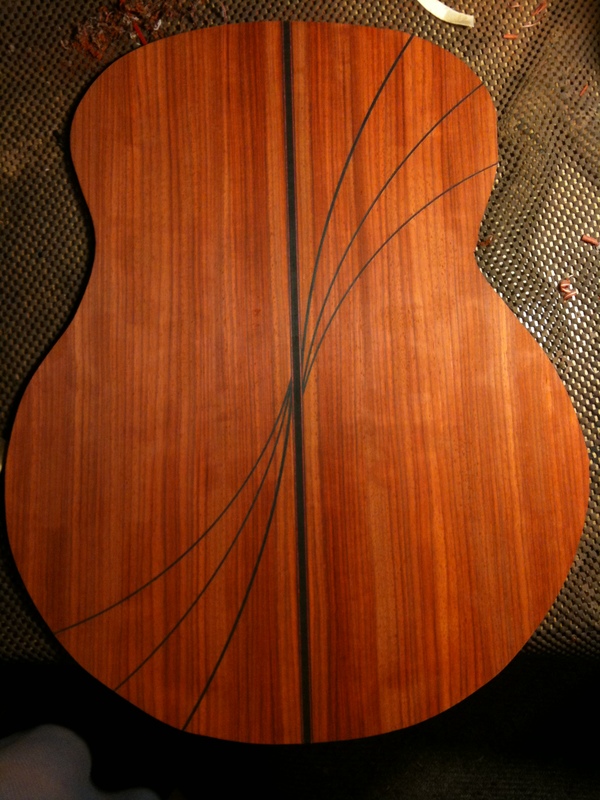 I’m not going to do anything terribly difficult or impressive with this guitar. 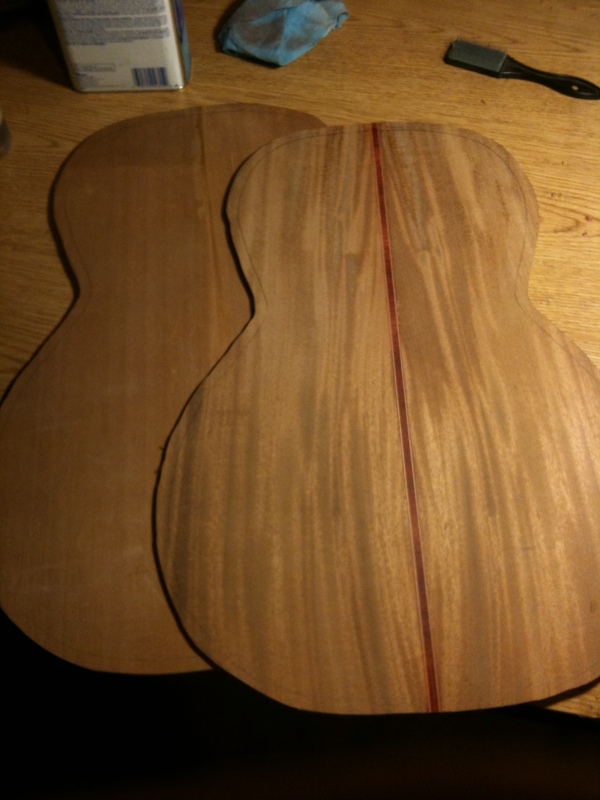 It will be my first Florentine cutaway, so it’s a learning experience. I am also curious on how the Cuban Mahogany is going to sound since I have a sister set of it.